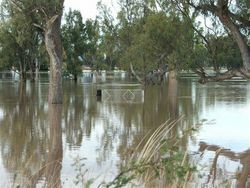 Jan/Feb 2012 Heavy local rain caused Wee Waa to be isolated for a week and inundation of some parts of Narrabri. 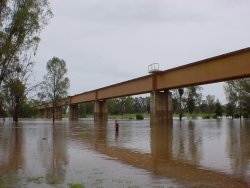 Summer 2010/11 Heavy local rain and inflow from Cox's Creek caused major flooding near Wee Waa. 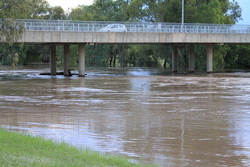 Early December 2008 Tamworth received 200mm, flooding the Peel and causing minor flooding in the Namoi over the following days. 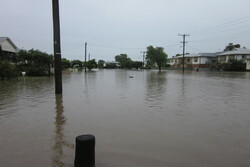 10 December 2004 Photos of when Narrabri received 160mm of rain overnight, which made for an instant flood. 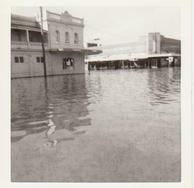 February 2 1984 A major historical flood. 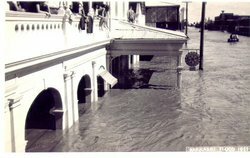 February 2 1971 A major historical flood. 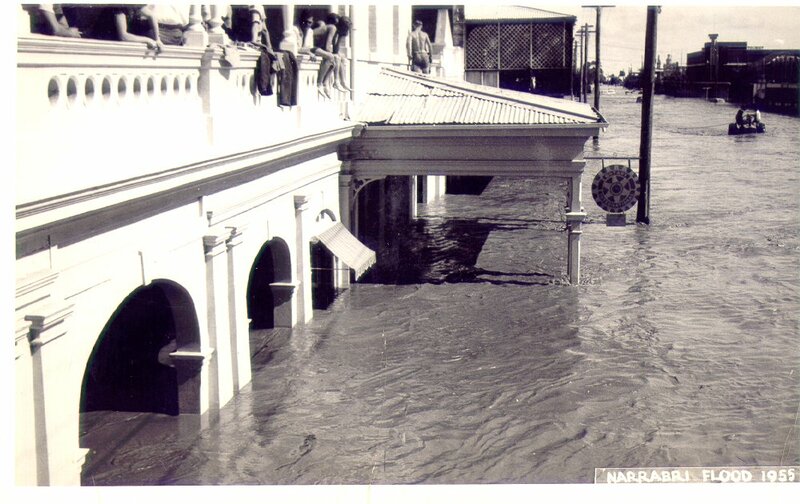 The Club House Hotel in Maitland St during the 1955 flood. Source unknown. 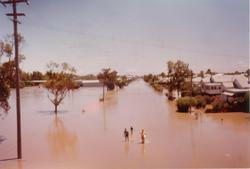 Joshua Wright kindly let us know that he has digitised a 13 minute movie of the 1955 floods in Narrabri. Here is the YouTube link.